Violence has flared again in Northern Kosovo after NATO troops brutally dispersed a crowd of Serbian protesters at a makeshift roadblock, firing live ammunition at peaceful demonstrators, and have now established an armed presence in the area. Over 100 KFOR troops arrived at the scene on Friday and forced the Serbs to leave the then-intact barricade, threatening the use of lethal force. KFOR said they would shoot anyone who failed to comply. They also ordered journalists to leave the immediate area. NATO’s force in Kosovo has said it will shoot to kill anyone who crosses a barricaded area near the disputed checkpoint on Serbia's border with Kosovo, reports RT’s Aleksey Yaroshevsky. Allied pro-Kosovo forces then brought in bulldozers and demolished the barricade built by ethnic Serbs on the Kosovo side of the border with Serbia. But Serbs at the remaining barricades say they will not leave their positions. “We have lost a battle, but not the whole war,” they told RT. The Kosovar Serbs added that their move to erect barricades in Kosovo is driven by fear that Belgrade might abandon them in pursuit of EU membership. Ethnic Serbs are more determined than ever to show that they do not wish to be part of the Kosovo republic. After peacefully retreating from the barricades, the Serbs established another makeshift checkpoint by putting two large trucks on a bridge, thus blocking access to northern Kosovo for the KFOR troops. The situation remains tense but not violent with Serbs pulling back and grouping at a nearby bridge block post. 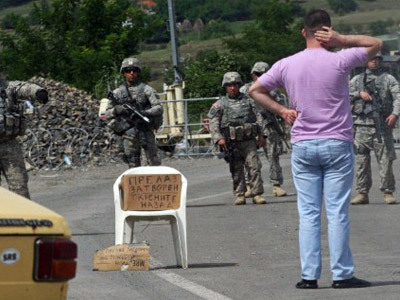 The barricade secured by NATO troops is just one of about half a dozen constructed by Serbs, so the stand-off is continuing and an escalation of tension remains a possibility. RT’s correspondent reports that he saw a group of Serbs tearing down a road sign posted by KFOR, indicating that their fighting spirit is far from lost. Still, more than 10 wounded people remain in hospital in the town of Mitrovice after Tuesday’s clashes with KFOR forces. Some of them have bullet wounds. RT spoke to them to get first-hand information about the clashes. Significantly, KFOR and NATO are trying to convince the public that they only used rubber bullets and tear gas grenades against the Serbs to pacify them. But doctors in the local hospital told RT that the patients have unmistakable gunshot wounds. The conflict zone in Kosovska Mitrovica is split between the Albanians and the Serbs, and as RT’s crew witnessed last night, the latter are currently reinforcing their barricades with fresh piles of sandbags being placed across roads to block access to KFOR forces and the Kosovo police. NATO helicopters are bringing additional troops to the conflict zone, and are reported to be flying over the border crossings approximately every 30 minutes. There has been a strong international response on this week’s developments in Kosovo. 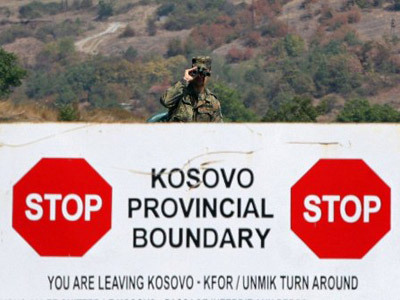 The US has accused Serbs of provoking violence, while the Russian Foreign ministry has expressed deep concern over the situation in Kosovo, saying that this conflict, largely perceived as a border incident, could destabilize the situation in the whole region. Russia’s envoy to NATO, Dmitry Rogozin, has criticized NATO for a crude breach of the UN resolution on Kosovo, saying the alliance has failed to remain neutral. “In this situation, NATO has definitely taken Pristina’s side,” Rogozin told Russia’s TV channel Rossiya 24. Russia’s Foreign Ministry has also expressed deep concern over news suggesting an emergency carriage taking the injured to hospital was fired on by Kosovo forces during Tuesday clashes at the disputed checkpoint. On Wednesday, members of the United Nations Security Council gathered for emergency consultations in New York to discuss the situation in southern Serbia, but failed to reach a common stance on the conflict in the turbulent region. 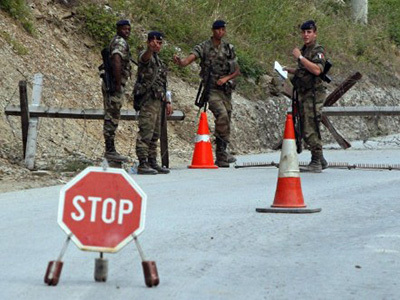 On Thursday, Kosovo's Interior Minister Bajram Rexhepi said that roadblocks put up by local Serbs will be removed, pledging, though, that ethnic Albanian-dominated authorities will make no unilateral moves, AP reports. 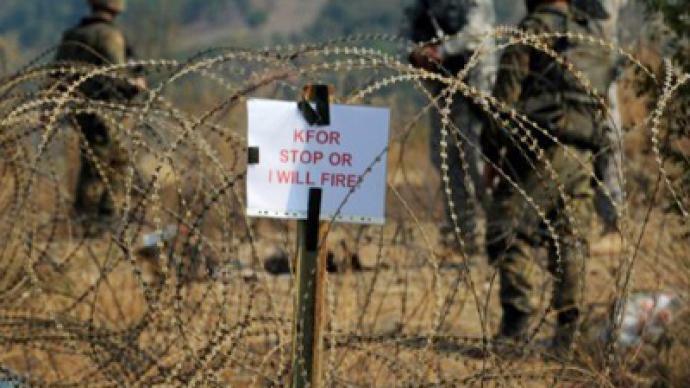 The removal of barriers is “inevitable” as they prevent “freedom of movement for people and goods,'' the minister said, adding that any action would be coordinated with the NATO-led KFOR forces and the European Union mission.